Save AED 25 (28.09%) – Earn 6 Shukrans What is Shukran? Shukran is the Landmark Group’s award-winning loyalty programme in the Middle East, which allows you to earn Shukrans when you shop any of our brands. 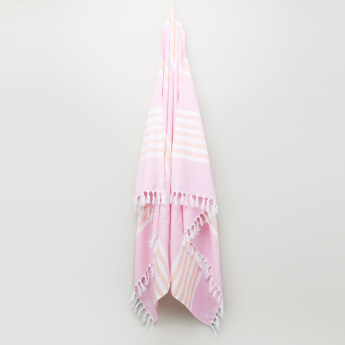 Wipe your little angel dry after a relaxing shower with this soft and gentle towel. 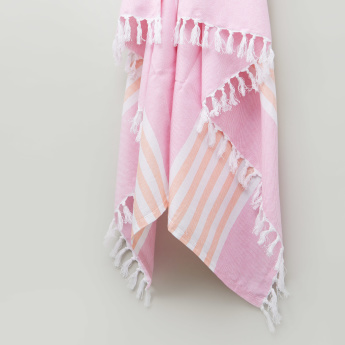 Sporting eye-catching stripes and lovely tassel detail at the border, this towel is made of good quality material.